A couple of weeks ago, I visited Victoria Falls for the first time since I was a child. The largest waterfall in the world, at a width of 1, 708 meters, this popular tourist site has remained largely natural. On the Zimbabwean side, the national park entrance allows visitors to explore on their own, with a path through the rainforest guiding you to walk from one end of the falls to the other. As you walk along the various viewing points of the falls, there’s nothing to stop you falling directly into the gorge except signs warning you not to approach the edge of the cliff. But with tourism increasing in Zambia and Zimbabwe, the natural beauty of the falls could be subject to encroaching man-made structures that taint its original beauty. Known locally as Mosi-oa-Tunya, or “the Smoke that Thunders,” Victoria Falls first became known to Europeans after David Livingstone’s expedition to the region in November 1855. Livingstone named the falls after Queen Victoria, but both of its names are now formally recognized. European settlement in the area began in the 1900s, and the quaint town of Victoria Falls was created. Tourism gradually increased during formal British colonial rule over Northern and Southern Rhodesia, but dropped in 1964 when Northern Rhodesia gained independence and became Zambia, and in 1965 when Southern Rhodesia declared its Unilateral Declaration of Independence from Britain. With Zimbabwe’s independence in 1980, however, the number of visitors to the area rose, only to fall again in the early 2000s with the onset of hyperinflation and sanctions against Zimbabwe. In recent years, however, tourism to the falls has increased significantly, especially for the town’s annual New Year’s Eve carnival, which this year attracted over 6,000 people. 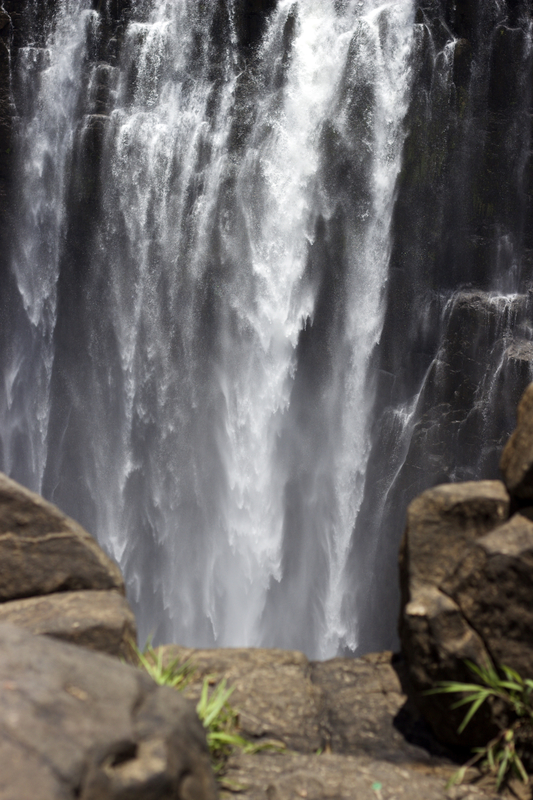 And in comparison to many other tourist sites, Victoria Falls is still a natural wonder. While the town on the Zimbabwean side has expanded, and hosts numerous hotels, restaurants, bars and touring agents, it still retains its own charm as a quiet area where stores still shut on a Sunday, local craftsmen push the sale of their wares, and international brands remain at bay. There are numerous game reserves that provide the chance to view animals in their natural habitats, and while the falls offer the opportunity to bungee jump off the bridge and zipline across the gorge, the area directly around the waterfalls and the Zambezi river remains in its original state. This is in stark comparison to sites such as Niagara Falls, which has suffered erosion due to commercial expansion and urbanization, and is directly surrounded by entertainment parks, restaurants, and even the Skylon Tower on the Canadian side. At the Great Pyramids in Giza, a Pizza Hut can be viewed in the distance, and a TGI Fridays sits resplendently on the Nile river bank in Cairo. The landscape of Victoria Falls is now also at risk of falling into this pattern of commercialization. Zimbabwe’s tourism minister has announced plans to create a theme park, or the “Disney of Africa,” constructing casinos and themed parks to attract even more visitors. 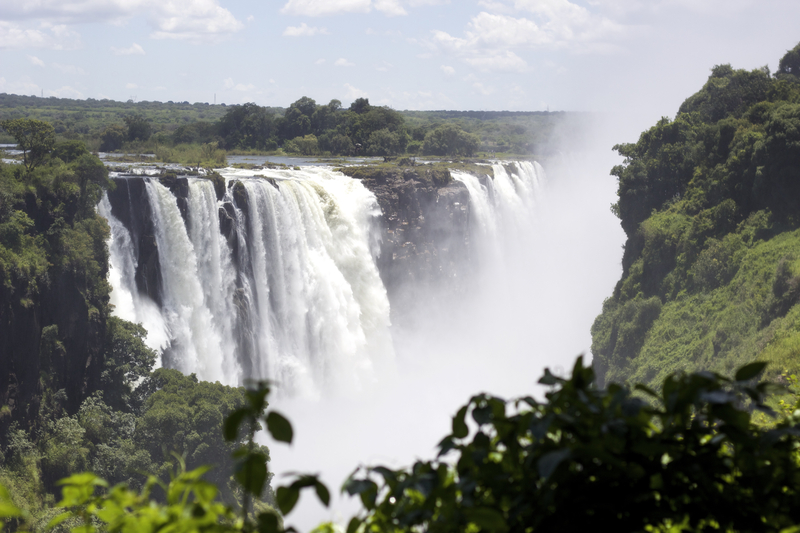 Quoted in an article on CCTV.com, tourism minister Walter Mzembi wants to “make sure that the Old Victorian setting as it currently exists today will co-exist with the ultra-modern Victoria Falls” (a contradiction in terms since the falls have been in formation for about 100,000 years). In Zambia, China has taken over much of the development of the town of Livingstone. While the town has benefited from Chinese investment in basic structures such as the installation of street lighting, better drainage systems and an upgrade to the airport, there has been a huge increase in the number of Chinese restaurants and hotels, with hotels welcoming guests with a copy of the Chinese Oriental Post newspaper, edging out local and regional hotel chains in an attempt to attract more Chinese tourists to the region.